Gaji Namul is a simple, tasty Korean side dish (banchan) made of steamed eggplant strips and seasonings. Cut the eggplants into quarters (or smaller, depending on the width of the eggplant) and then into two-inch pieces. Steam in the steamer for five to 10 minutes or until it is soft enough to pierce easily with a fork. Remove from steamer and toss with seasonings and spices. Cool to room temperature before serving as a side dish. *You can use other types of eggplant to make this dish, but you might want to salt the eggplant before steaming to reduce skin bitterness. The Chinese eggplant is ideal for this recipe because its skin is tender and not bitter. 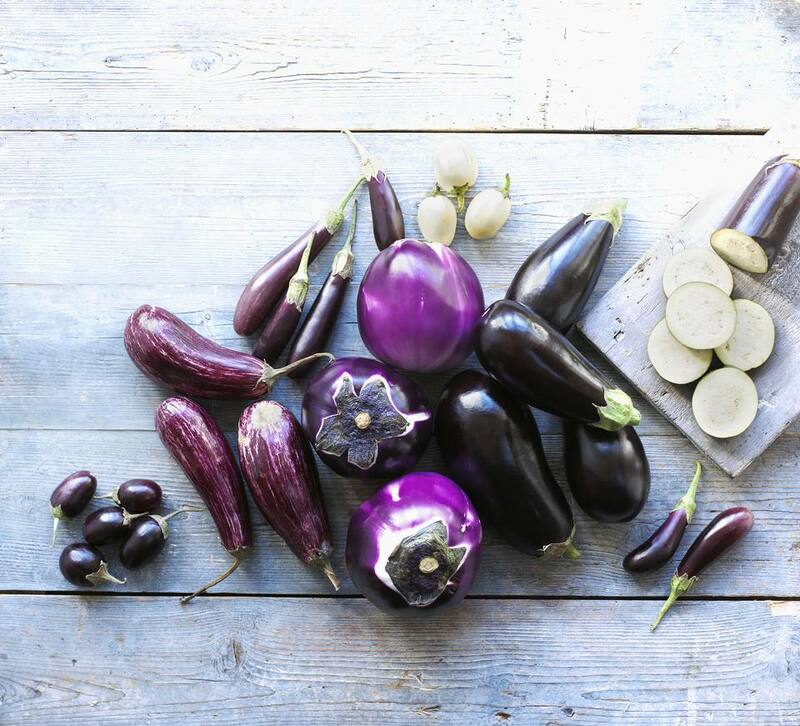 Eggplants are a good source of dietary fiber, B-vitamins, magnesium, and manganese. They are also a low-fat, low-calorie, and low-carb food. To people today, the eggplant looks nothing like an egg. But it's not actually a misnomer. The first eggplants to reach Europe (from the Arabs during the Middle Ages) was actually a white species of the plant, with oval-ish fruits that did look like large eggs. So the name stuck, even though the most common purple versions also eventually made their way to Europe. The eggplant is technically a fruit, but it is almost always used as a vegetable in cooking. Eggplant belongs to the nightshade family that also includes the poisonous Jimson weed or Datura as well as Belladonna, which is also poisonous and sometimes called Deadly Nightshade. The eggplant also contains some toxins during its immature growth stage. The eggplant was once known as the “mad apple” because some believed that eating it could cause insanity.